Sign up now for the Inaugural HFF Golf Outing to be held Monday, Sept. 25th. Please download the registration form here. Note: HFF is very conscious of the risks involved with sharing intimate personal stories of the special children and families in our programs. We would like to share a story of one young lady without using real names or specific details such as location or dates. When Marie became pregnant at 15, she felt like her life was over. Her mom passed away when she was 2 years old, and she was raised in the outskirts of Port-au-Prince by her grandmother. She always knew her grandmother loved her, but they never had the relationship she dreamed she would have had with her mom. Her grandmother was disappointed to find out that Marie was pregnant. 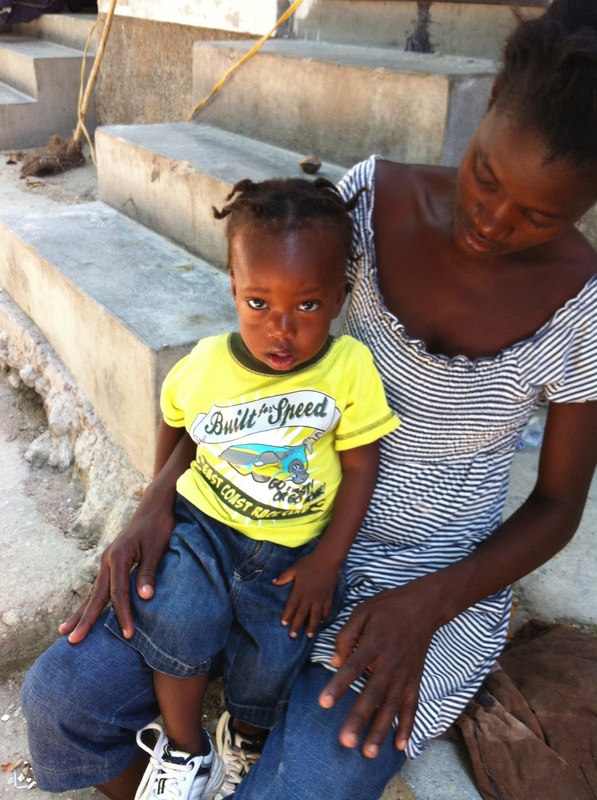 Not only did she feel a sense of failure as her caregiver, but she worried about Marie’s future; she had always done well in school, but pregnant youth are often shunned and belittled in Haiti. She wondered how Marie would finish school with a baby to look after. Marie gave birth to a baby boy, Gerd. At that time, the baby’s father decided not to be involved in his son’s life. Marie had a difficult time adjusting to life as a mom. Overwhelmed with her new reality at age 16, Marie was forced to drop out of school. Her grandmother helped in any way she could, but there were problems she could not solve. Breastfeeding was difficult for Marie, but neither she nor her grandmother could afford to buy formula. As baby Gerd failed to gain weight and became sick, friends, neighbors, and others from the community urged Marie to consider giving her baby up. 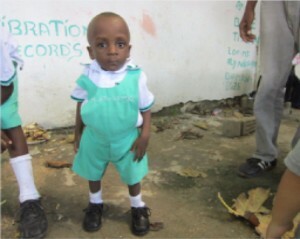 There were at least 5 orphanages in the community where Marie could have taken Gerd to receive cans of powdered formula or treatment for his diarrhea. She knew, however, that the orphanage would encourage or even attempt to force her to give the baby up for adoption – she had seen it happen to other young girls in the community. She watched her peers struggle with their decision to give up their children, and knew she couldn’t face the difficulty of separation. When Gerd was six months, Marie admitted him to the hospital where he received IV fluid after reaching a point of severe dehydration from persistent diarrhea. He was hospitalized for 9 days, and had not yet reached a point where he could be released. She would have to leave the hospital, though, as she had no more money to pay for his treatment. Thankfully, a hospital staff member was alerted to her situation, and told her about the services HFF provides to people struggling to meet their child’s most basic needs, encouraging her to seek our assistance. Marie came to us and asked for our help. Immediately, we were able to fund Gerd’s hospital bills and his continued treatment until he reached full recovery. Then, we partnered Marie with an HFF team member who worked with her to learn how HFF could help with urgent needs for Gerd, and began a discussion to determine how we could help Marie long term. Marie explained that a major reason she had dropped out of school was that she was not allowed to bring Gerd with her, and she had no one to take care of him during the school day while her grandmother worked in the fields. And, Marie and her grandmother had exhausted all of their savings on treatment for Gerd, they could no longer afford school tuition and fees. Haitian Families First organized child care for Gerd with another of our family members in their community, providing daycare services in the morning while Marie attends school. We matched Marie with a generous donor who committed to sponsoring her by donating $240 for her tuition, uniforms, books, and all other supplies for the year. Marie was able to return to school just a year behind, and with the help of her HFF Support Team, works with the school director to ensure she is treated respectfully and fairly. Marie works hard in school, and is committed to her effort to graduate on time, making up the year she missed. She wants to go on to college to study social work so that she can help other girls faced with similar difficulties. Young women like Marie need support in many different ways. One of the most important actions we can take is to continue to invest in her future, providing an education and the support needed to help her do her best for herself, and for her son. Will you please sponsor a student like Marie? The support you can provide with your $240 donation for the year will enable a student like Marie to attend school in her community, with all of the items necessary for a successful year, including tutoring from HFF staff, and assistance with transportation. 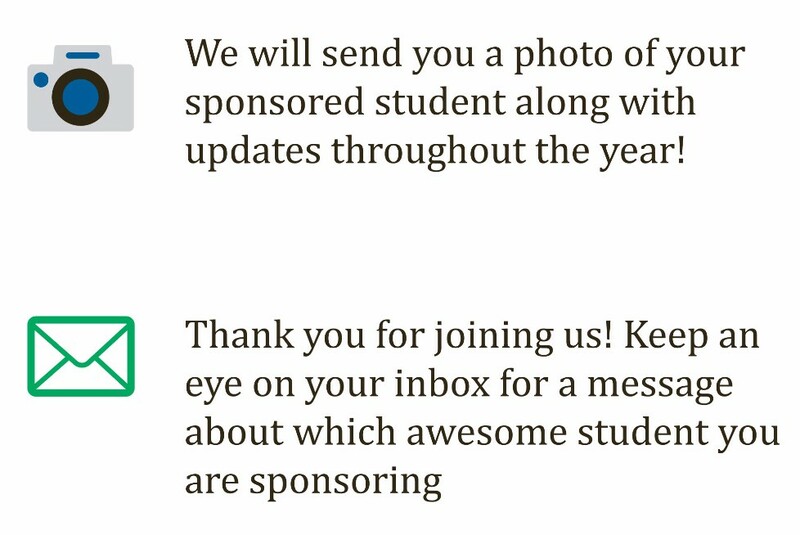 We will send you a photo of your sponsored student, and updates from Haiti throughout the school year! 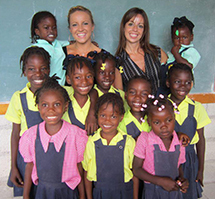 There are more than 30,000 children living in orphanages in Haiti. 80% of these children have living parents. Parents struggle to meet their childs most basic needs: food, clothing, shelter and education. Orphanages offer support to parents only if the family gives the child up, forever. 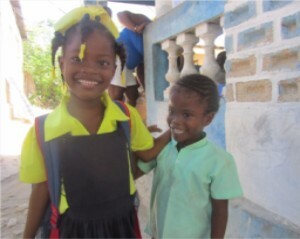 Haitian Families First is committed to 115 students ranging from the ages of 2 to 21 years old. Will You Sponsor a Student?Individually, with a friend, as a family, or as a company; there are countless ways to get involved!